This event is a part of a series of events lasting four days to expand the Taste of Washington. It used to be called Twenty Something but is now the New Vintage. Its idea is to appeal to the next generation of wine lovers. With more than 500 hundred people at this event, I would say it is definitely a popular event. The event took place at the Four Seasons Hotel with plenty of room designated for the crowd to move from vendor to vendor. 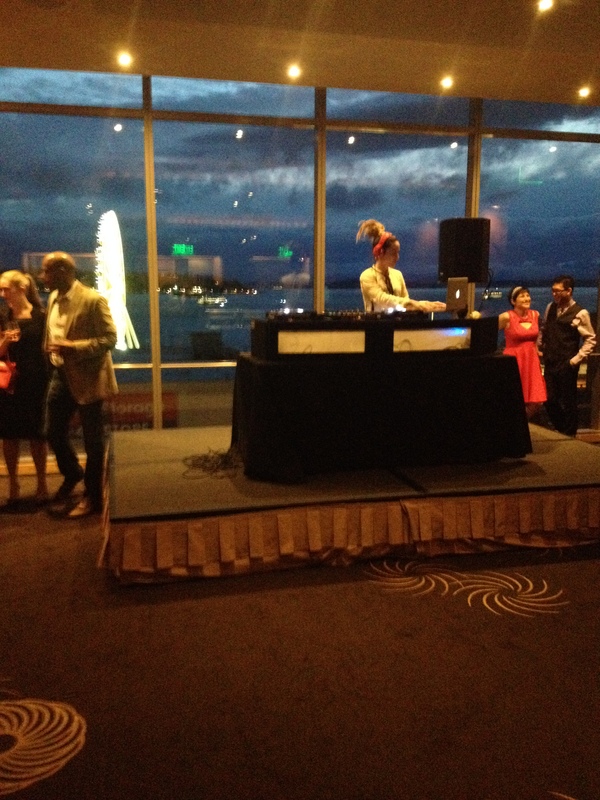 You could sip on wine while dancing to some great music of the top 40s spun by DJ Tina T with a view of downtown Seattle complete with a close proximity to the ferris wheel. There were about 45 different wineries, 6 chefs from some of the finest restaurants, several options for desserts, should you feel the need to pair your wine with decadent pastries or chocolate, and many more. 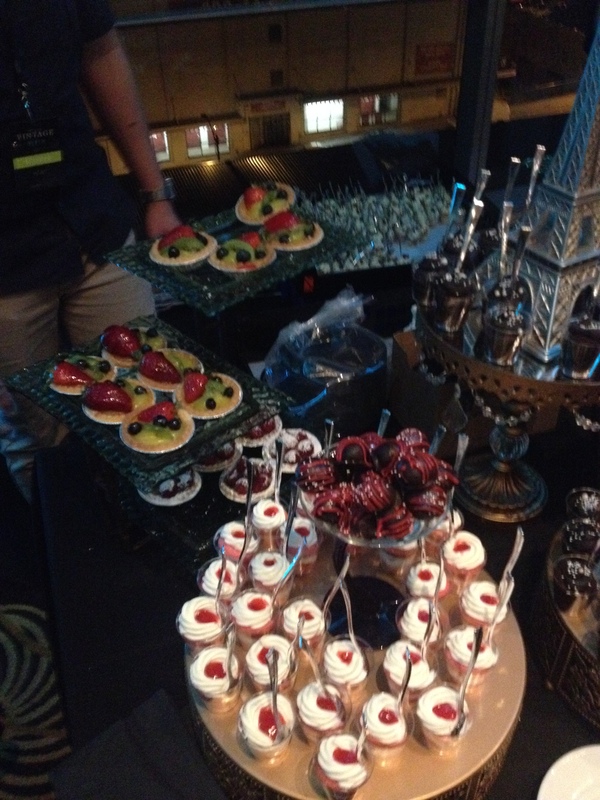 There was a dessert table covered in beautiful desserts, appealing to the eye, with a miniature statue of the space needle centered in the middle. I tried about four different kinds of these desserts and I assure you they were all good. I enjoyed tasting all sorts of wines. Some notables were Nine Hats Winery from Columbia Valley, L’Ecole in Walla Walla Valley, Anto Lin Cellars in Yakima, and Charles Smith Wines in Walla Walla. There was plenty of delicious bites to pair these with. A few of my favorites were the cannolis from Vespolina and octopus from The Manhattan. The Highland’s Chef John Tesar was also on hand straight from Texas creating fresh seafood appetizers. Should you seek out more knowledge on the wines you are tasting, a small movie screen in the center of it all displayed a slideshow giving us more of an in-depth look at each winery and it’s story. 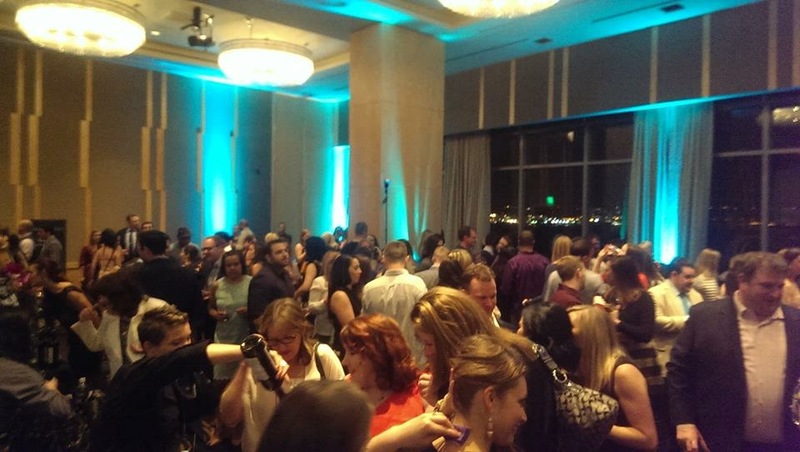 This event was sure to please both new generation and seasoned wine enthusiasts. 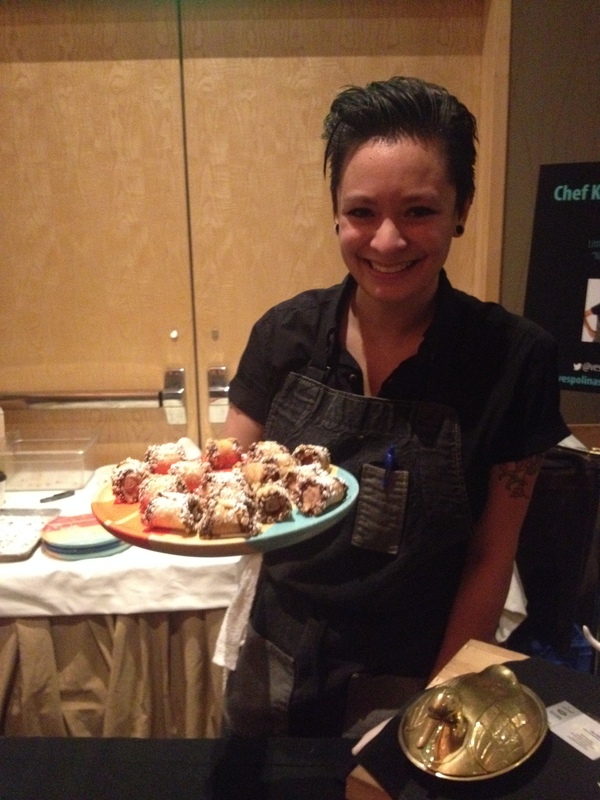 I love events like this one because you can try out several different kinds of food and drink in the Seattle area. It’s a good opportunity to learn more about Seattle, it’s culture, and what it has to offer, which is a great deal.